For all you lucky iPad and mobile tablet owners out there that also drink Single Malt whisky here is the game for you. 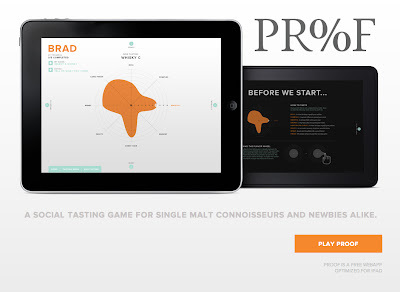 Proof Whisky: "A social tasting game for single malt connoisseurs and newbies alike". 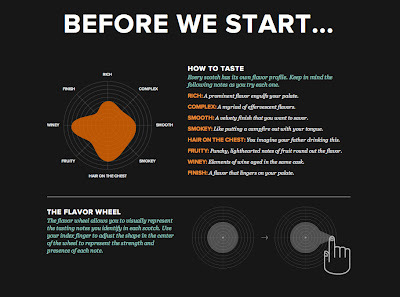 Effectively this is a tasting tool translated into a visual gauge and is used by pushing and pulling your interpretations much like using a whisky flavour wheel. Perfect for a blind tasting and even better when you have 3 or 4 whiskies to taste. All the tools are provided including some printable tasting mats. Get your night organised, input your guests names, input the whiskies on tasting, pour the whiskies (blind and unmarked), then start playing the tasting game. It should be said that you do need a tablet device (optimised for iPad). The game does work using a desktop browser but don't bother thinking your mobile will suffice because it wont. You will need a connection to the internet in order to run it but for most of us this is not a problem these days. Also of note Proof Whisky has a specific Scotch Single Malt focus. Maybe someday we will see an expansion to other styles but that would be a pretty big task in anyones books. Ok so Proof Whisky is a game and it looks really slick, but they take it serious enough to ensure some helpful tips to keep the night in good sorts. Keep it Lighthearted: A whisky tasting is a time for being with good friends and winding down with Scottish spirits. Make sure it's clear that lively competition is welcome, but no one should feel embarrassed if they're not already a whisky connoisseur. 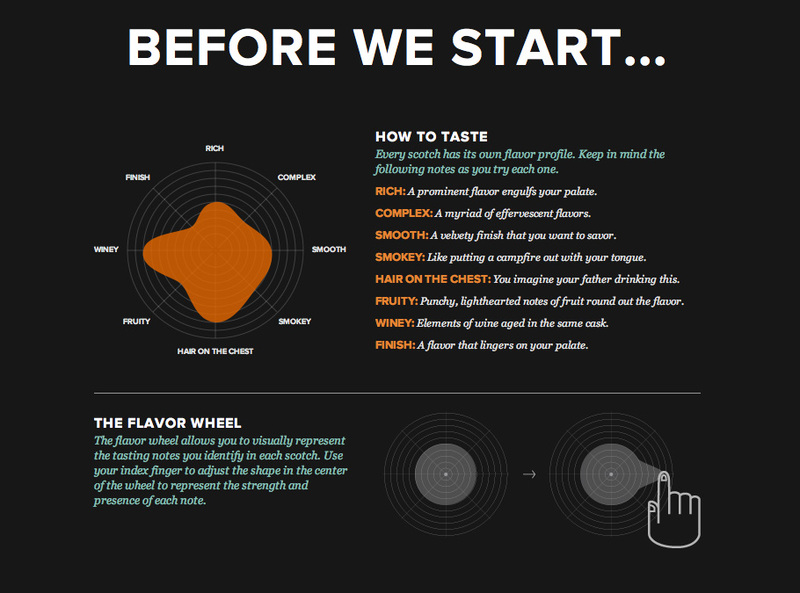 Encourage Discussion: Have people read their tasting notes out loud. Colorful descriptions can bring on a lot of laughs after a couple drinks. Provide Snacks: A fine whisky isn't a fine whisky if it doesn't pair well with food. Cheeses, chocolates and fruits go particularly well with single malts. I personally have yet to use this game in a tasting situation and there is some planning involved to get some legitimate use out of it. I think it would be a great tool to use in a club tasting, or even better for someone wanting to start their own club, or for those needing to add some spice to an otherwise stuffy old tasting session. To find out more about proof and who built it check out the Zeus Jones website. Very easy to use, very intuitive, and very professional. I really look forward to using this soon. If you have used it let us know what you think.